I’m currently looking for ideas to decorate my six year old daughter’s room. 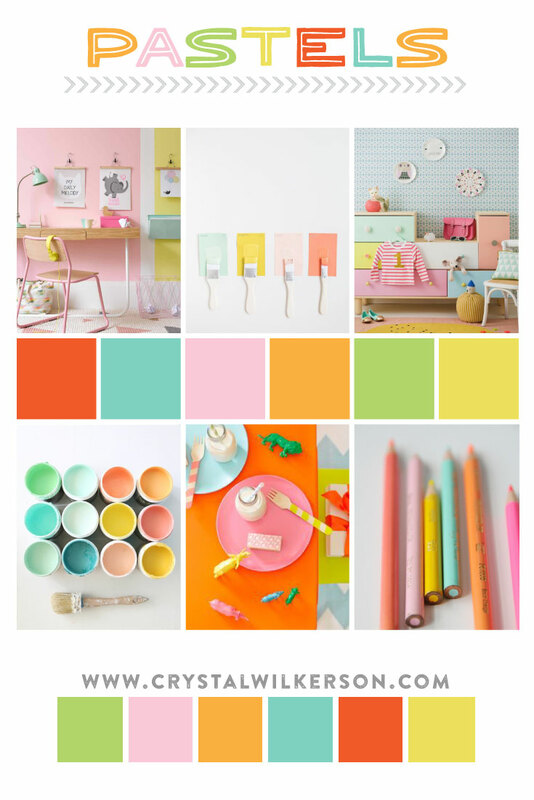 So today’s mood board was inspired by a fresh, girly color palette. I love how happy these colors make me…what about you? Any other pastel lovers out there? I can’t wait to start playing around with these colors this week & see what I come up with! I hope they inspire you too! For even more ideas using a pastel color combo, check out my pinterest board HERE. Follow Crystal’s board PASTELS on Pinterest.